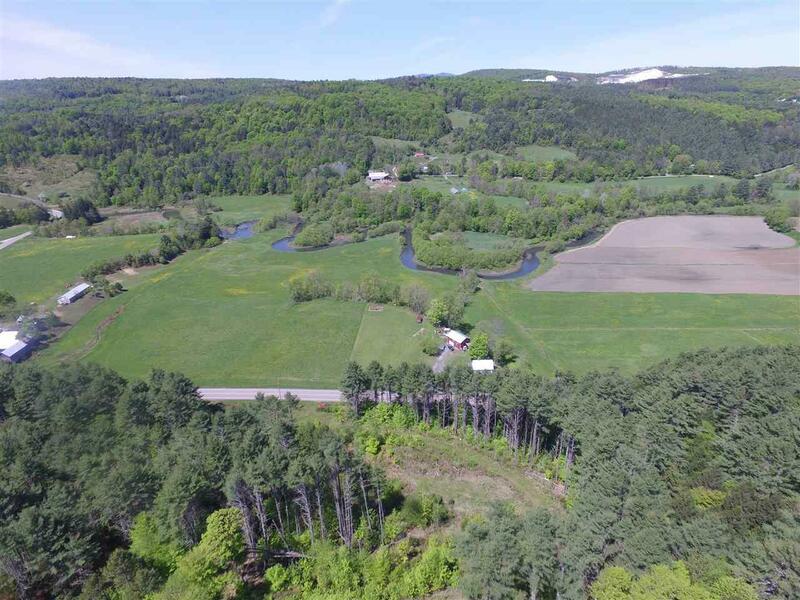 Just imagine your very own scenic elevated build site with views of the valley and surrounding hills. 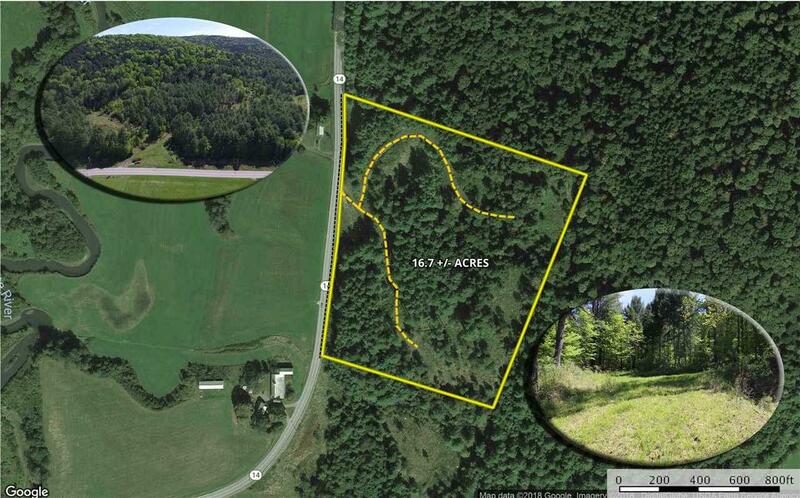 This 16.7 +/- acres lot is in the quaint rural town of Royalton, Windsor County, Vermont! An existing curb cut and roughed in driveway leads to several clearings, so it is simple to imagine the placement of your future home. Enjoy huge old white pines providing excellent privacy. 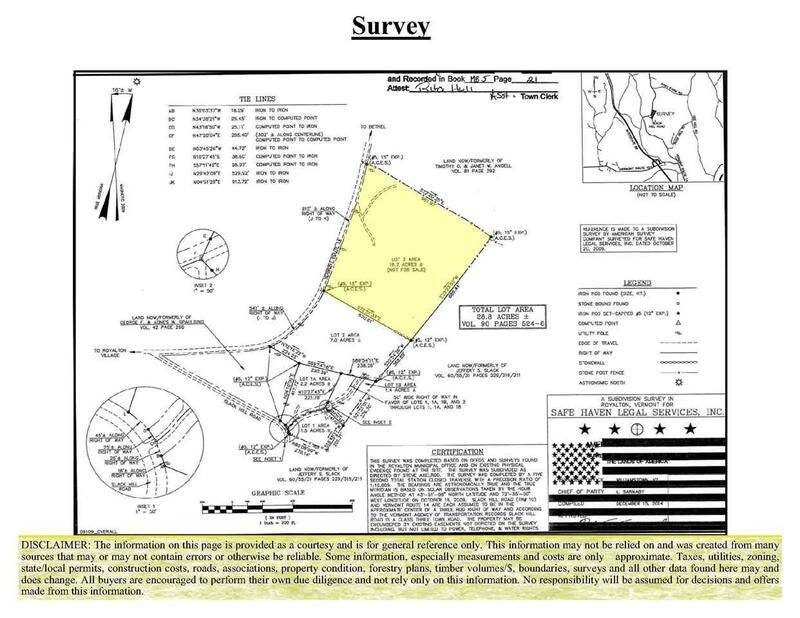 The parcel boasts over 900 +/- of frontage along VT-14 and likely could be further subdivided. There is no zoning in Royalton allowing plenty of freedom on your use and development of your property! The lot slopes slightly south west giving great midday and evening sun. Power poles run along the frontage and there appears to be 3-phase power making for potential connection of a net metering solar array. A basic trail system has been created for ease of travel between the cleared sites and there was sign of whitetail deer, grouse and turkeys! Minutes to I-89, just an hour to Burlington, 2.5 to Boston and under 3 hours to Hartford, CT. Located close to Gifford Medical Center, Dartmouth Hospital & CVMC. No formal waste water soil tests have been completed. Courtesy of Curtis Trousdale of Preferred Properties.